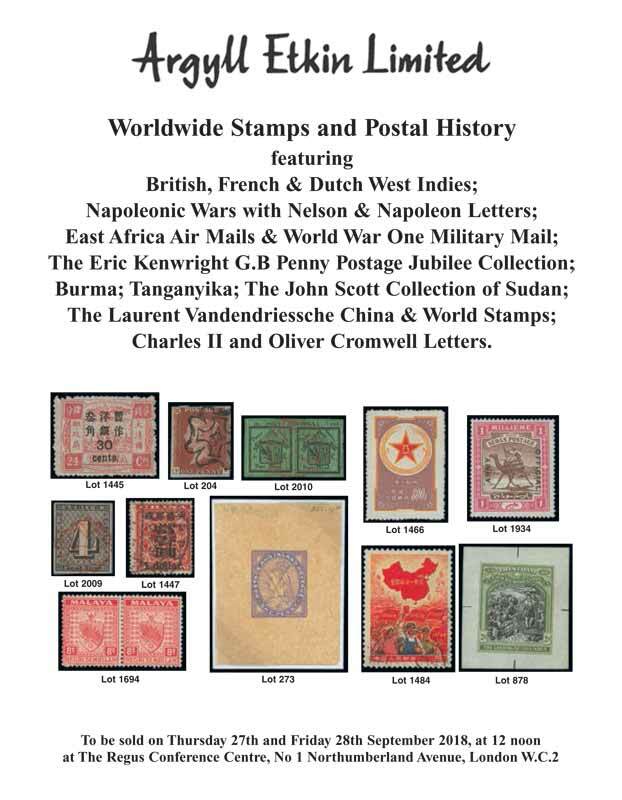 Featuring: Two day auction with extensive China and worldwide stamps; British, French & Dutch West Indies; Napoleonic Wars with Nelson & Napoleon Letters; East Africa Air Mails & World War One Military Mail; The Eric Kenwright G.B Penny Postage Jubilee Collection; Burma; Tanganyika; The John Scott Collection of Sudan; The Laurent Vandendriessche China & World Stamps; Charles II and Oliver Cromwell Letters. Total realisations £839,919 including buyers premium. Argyll Etkin’s first two day sale for four years began with some exceptional Great Britain; a letter on cover with 1d Black to the Royal Observatory, Cape of Good Hope made £2,750, while a part entire of 1841 to Corfu bearing three 1840 2d blue pairs with both red and black Maltese Cross cancellations sold for £5,600. An 1852 cover franked with an 1841 2d blue complete strip of twelve plus single 1d + 2d stamps sold for £2,380. A fascinating British Revenue collection sold for £1,550. An 1650 entire letter from King Charles II at The Hague to Prince Rupert, who commanded the fleet sent to Ireland in 1649 to aid the Royalist Forces, sold for £4,900. A second King Charles II letter written from Jersey on 12 th January 1650 sold for £7,400. Meanwhile a rare 1654 letter from the Lord Protector, Oliver Cromwell from Whitehall to the Commissioners of Admiralty concerning forces from Guernsey, Jersey and the Scilly Islands sold for £7,700. A Channel Islands Maltese Cross postmark on a 1d Red sold for £2,150. Rare Great Britain Ship Letters featured an 1814 usage of the oval crown type Milford Ship Letter which sold for £2,020, one of only two examples recorded. The remarkable England Flag Machine Cancel, only trialled for 4 days in 1898 sold for £5,500. 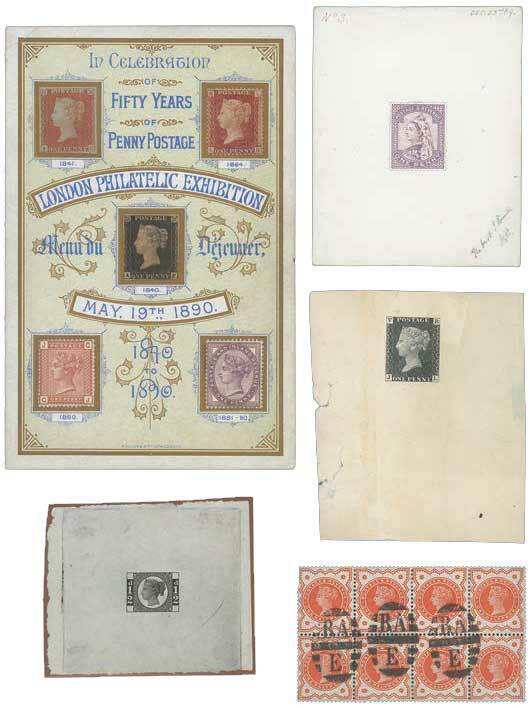 Eric Kenwright’s stunning collection of the 1890 GB Penny Post Jubilee attracted global attention with two handpainted essays of a proposed stamp issue ex the De La Rue archives sold for £4,050 and £4,160 respectively. 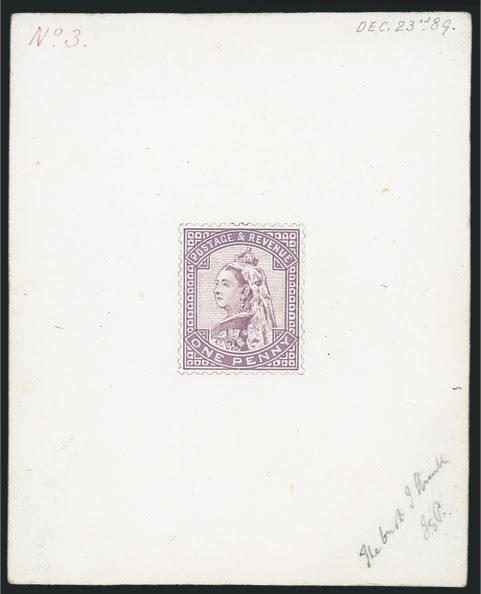 In the event, the proposed stamp issue was abandoned in December 1889 due to cost. A Post Office Telegram Form bearing 1/2d – 1 shilling Jubilee stamps then current made £1,130. An 1890 1d Post Jubilee envelope bearing an 1840 1d Black and 2d Blue sold for £3,100. after the Battle of the Nile reaching £8,500 and a letter written by Nelson’s secretary from Palermo regarding supplies to the fleet at Malta and signed by the Admiral with the rare short-lived ‘Bronte Nelson of the Nile’ making £5,500. Meanwhile a 1798 letter from Napoleon Bonaparte in Cairo, Egypt, made £2,020. A fascinating collection of letters from the Armee de Saint-Domingue, the expedition sent by Napoleon to reconquer Haiti in 1802/3 following a slave rebellion realised £5,950. The expedition occupied the sea ports yet could not compete with guerrilla warfare inland and evacuated the island in 1803. A rare early letter from Antigua 1694 just one year after the first recorded letter from the island was knocked down for £1,130. A later letter dated 1800 with the rare straight line ANTIGUA SHIP LETTER sold for £3,925. 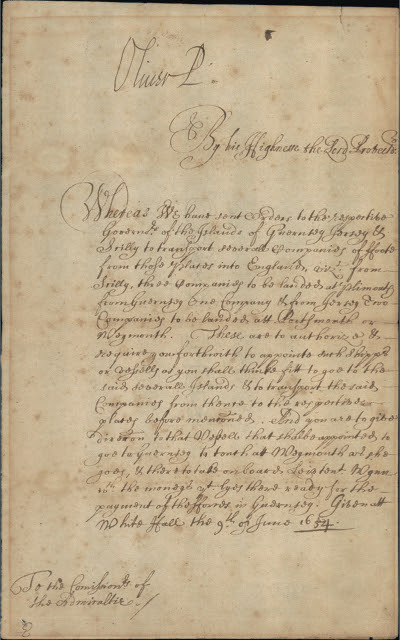 An 1804 Entire from Curacao to Amsterdam brought into Bermuda with the endorsement “Opened in Bermuda” made £2,500. Curacao was then under the French controlled Government of the Batavian Republic and was therefore considered enemy territory by the British with neutral ships liable to seizure. This letter was over 6 months in transit. British Guiana featured a marvellous 1931 Centenary Progressive Die Proof from the Waterlow archives which sold for £715. A remarkable 1661 entire letter from Nevis to London had a superb AP/24 Bishop’s Mark; this was the earliest recorded letter from Nevis and the first week of use of the first Bishop Mark handstamp therefore being the earliest recorded postal marking on a letter from any British colony. Keen international bidding saw this letter sell for £8,800. A pair of charming St. Lucia King George V 1936 Die Proofs sold for £430 and £450 respectively. 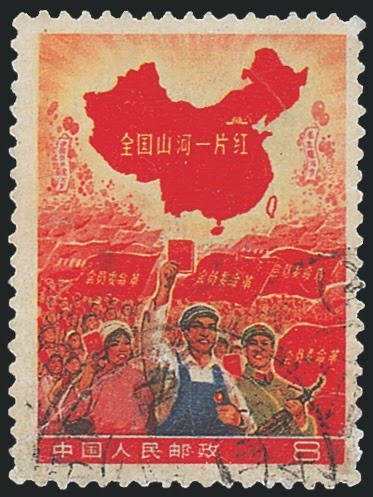 The remarkable world stamp collection formed by Professor Laurent Vandendriessche was eagerly awaited – notably the China collection. The Professor’s relationship with China dated from 1954 when the Government invited him to visit. He held court with the People’s Republic of China’s first Premier, Zhou Enlai and other prominent figures of the Communist Party of China. During his lifetime, the Professor visited China more than 40 times and was instrumental in establishing relationships between China and Belgium in the scientific and economic fields. The China Collection included some important gems including the 1951 Gate of Heavenly Peace issue which sold for £3,200 and the 1962 Art of Mei Lan-fang Miniature Sheet which reached £7,500. The iconic 1968 The Whole Country is Red 8f used sold for £21,400. This stamp was only on sale for two days in Canton before it was withdrawn from sale due to geographical errors in the design and the Island of Taiwan being left white. The 1968 Mao Tse Tung set made £3,100. 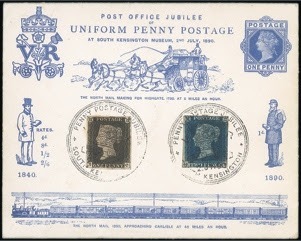 Other highlights of the Professor’s collection included the rare Belgium 1915 Railway Parcels set which sold for £2,850 and a remarkable Korean stamp collection which realised £1,200. 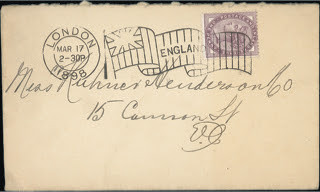 A comprehensive collection of Gladstone Airways covers featured a 1927 Sudan Post Office envelope signed by Gladstone with red Kenya Sudan 1 st Air Mail Skeleton datestamp which realised £1,190. 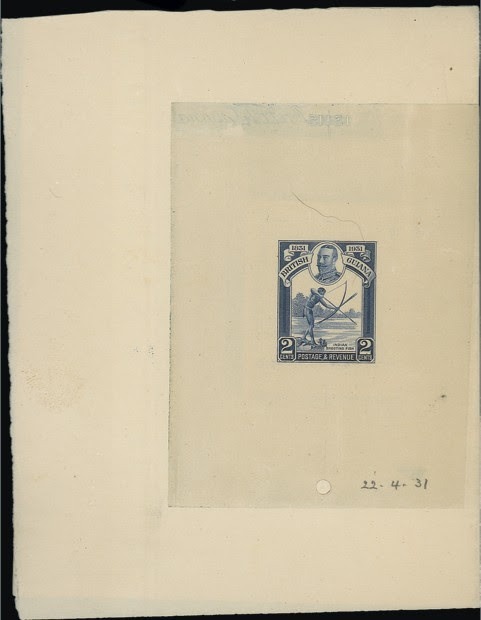 An exceptional collection of the Nyasaland Rhodesia Field Force saw fantastic results with £715 for a Field Post Office 1 cancellation from Limbe with one of just three registered APO handstamps known. 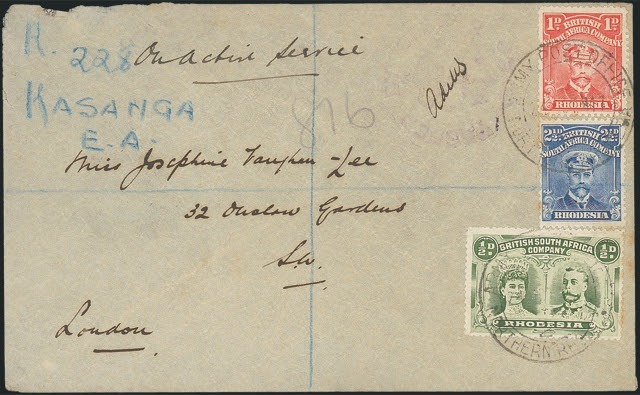 A 1916 Rhodesia registered envelope with violet boxed Postage Free/Base 1 N. Rhodesia/Passed by Censor and postmarked Abercorn brought £1780 – it is one of just four registered covers from Northern Rhodesia forces recorded by Pennycuick. A group of covers from the 1915-1918 Tanganyika Flotilla Expedition saw spirited bidding with a cover posted in Belgian Congo making £1,650 and one from Northern Rhodesia making £4,900.